Thinking about selling your inherited house? 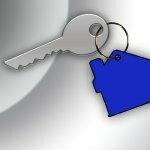 In this blog post, you’ll read about the 4 no stress tricks for preparing to sell an inherited property in Houston so you can sell it easily, with no hassle. Selling a house can be frustrating, time-consuming, and even expensive. And if it’s an inherited house, it can be even worse! Most people who sell a house just decide to sell without thinking through what that looks like. Do you have a budget for the ongoing expenses and any repairs needed? What if repairs take a long time? What if the listing takes a long time? What contingencies do you have if the real estate agent can’t find a buyer? It’s stressful if you have to decide these things as they come up but if you’ve already thought about them, you’ll eliminate a lot of stress. Do you know what the process is to sell? Do you know how long it will take? Do you know how much it will cost you? Is it even a good time to sell? Who is buying right now? Do some research ahead of time and ask these questions to get informed about selling. The more information you have, the better. If multiple heirs own the inherited property, you’ll want to gather your research and then talk to each heir to get a consensus. Nothing is worse than starting the listing process and trying to sell your property only to be stopped in your tracks by an heir who wants to go in a different direction with the property. Actually, you can skip a lot of the legwork and hassle by selling directly to a house buyer. A house buying company (like what we do here at Fair Price Offers) is the simplest, fastest way to put cash in your pocket because they often buy houses fast, for cash, and in as-is condition… and are experts at dealing with any of the challenges with titles, liens, multiple heirs, etc. So one call to a company like ours is the best no-stress trick! These 4 no stress tricks for preparing to sell an inherited property in Houston will help you finally deal with that inherited property without the hassle and stress! Want to sell your inherited house with NO STRESS??? Click here now and fill out the form or call our office at 866-883-9199 .